It is not wrong to make plans. It is, however, sinful to make plans without consideration of God. In any case, human plans are subject to change, especially when circumstances overpower one’s proposed activity. Bonnie and I had planned to attend the India Missions Conference in Florence, Alabama on April 21-23. However, two things led us to change our plans. Bonnie’s health put in doubt whether it was convenient for us to participate in the missions program. In addition, we got the happy news that Bonnie’s two brothers and their wives were visiting us from western Pennsylvania that week. James Reed and his wife Kay as well as Larry Reed and his wife Donna arrived in Winona, Mississippi Tuesday before lunch. Interestingly, the two Reed brothers married two sisters. See the six of us in the photograph. Not pictured, Bonnie has one surviving sister, Dianna, also. We enjoyed one another’s company over the next few days before they returned home. In the course of those days, Bonnie’s brothers helped me replace a rotted fencepost, install a handrail going out our back door to the screened sitting area and replace rotted landscape timbers in a raised flowerbed. Unfortunately, Bonnie was feeling poorly while her family visited. She drifted off to sleep in her half of our reclining loveseat or resorted to bed from time to time. Bonnie was unable to eat very much, experienced nausea and had some pain. Thursday evening Bonnie had a fever of 102.8, which fluctuated little for nearly the next 24 hours. Friday morning, Bonnie’s brothers embarked for Pennsylvania – 15 hours of driving time besides stops. About three hours after they left, Bonnie and I headed south to Jackson, Mississippi for her to receive another paracentesis – draining of fluid from her abdomen. This time, only 1.5 liters was drained, though it provided some much appreciated relief. Afterward, we proceeded to oncology where blood, etc. were obtained for analysis. Bonnie’s oncologist admitted her to the hospital for treatment. Her white and red blood counts were both near zero; she was so weak that a wheelchair had been her means of conveyance from admission for the radiological appointment for paracentesis to oncology and later to her hospital room. Saturday our daughter Rebecca arrived at the hospital. She had driven to our home from Collierville, Tennessee on Friday night before completing the journey to Jackson, Mississippi; she brought with her clothes for me, our laptop computers and miscellaneous personal items and office work. That afternoon, I digitally repaired four pages of the upcoming issue of The Voice of Truth International. The physical proofs provided by the printing company revealed some things that needed attention before printing was to proceed. These repairs were made from Bonnie’s hospital room and sent through the Wi-Fi to the printing company in Taylors, South Carolina. As of Sunday afternoon, Bonnie has received three units of blood, six IV sessions of antibiotics and several injections to boost her blood counts. We are unsure when she will be released, though it is clear that Bonnie is making improvements. 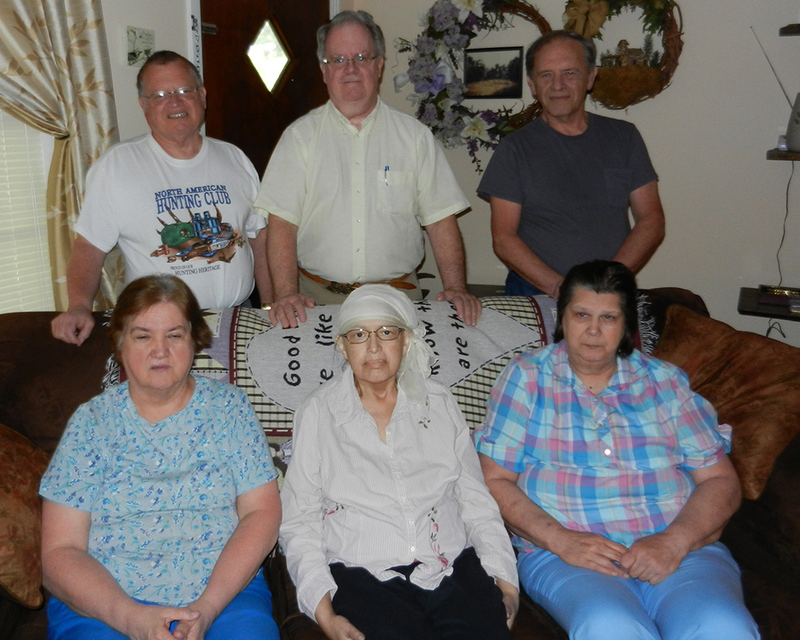 Bonnie desperately wants to be discharged from the hospital in time for us to attend the annual May Maywood Missionary Retreat in Hamilton, Alabama later this week. She has taken care of most of the duties associated with preregistration of attendees. Bonnie plans on specifying which cabins need to be cleaned on Tuesday as well as registering and assigning cabins to those coming on Thursday for the program. A big delight for those of the core group of the World Evangelism Team who come early to clean is the annual supper together at a Hamilton restaurant before attending Bible class with the Hamilton Church of Christ. Bonnie very much wants to enjoy the fellowship of kindred spirits – other missionaries – our friends and co-laborers, and I will do what I can so that she is not disappointed. Bonnie’s ongoing saga in her valiant fight against pancreatic cancer needs a little uplifting that this association together can help in a small way. Yet, as always, we must be flexible, saying within ourselves what our Lord Jesus said in prayer to our Heavenly Father, “Thy will be done” (Matthew 26:42). 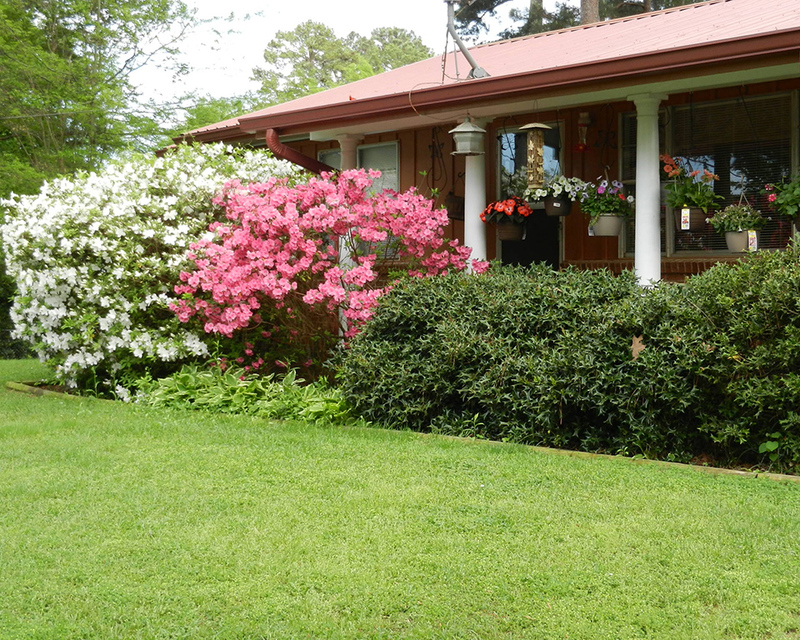 Bonnie asked for a picture to be taken of our blooming azalea bushes in front of our home, which I was glad to do. I also included the hanging, flowering baskets and the birdfeeders. All of the birds, though, were camera shy. 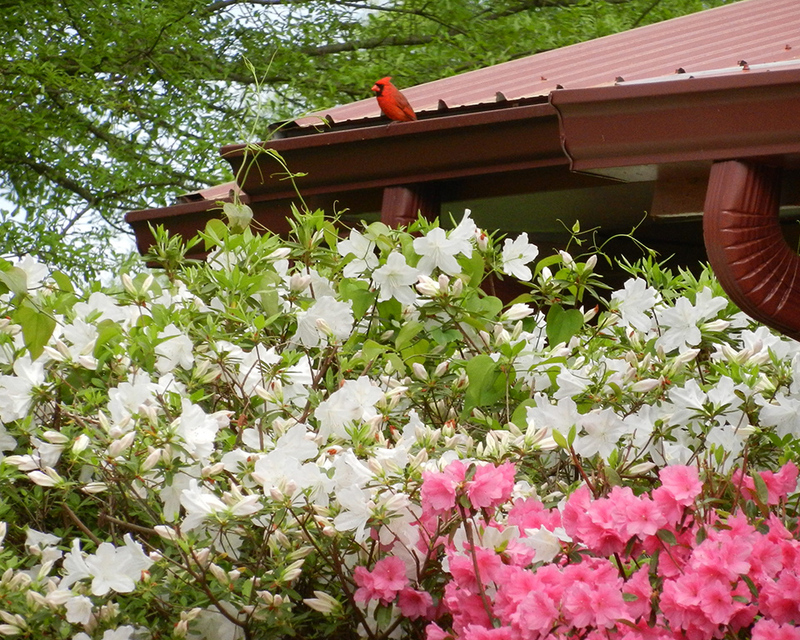 The Rushmore bird café offers sunflower seeds and humming bird nectar. Aside from the hummingbirds, a gallery of birds visit our avian diner, including beautiful, brilliant red cardinals, some gold finches, other finches, wrens and an unidentified bird – plus an ingenuous woodpecker. Too large for even the larger of the two birdfeeders, it hangs upside down and cranes its neck up to feed on the sunflower seeds. Wednesday, April 15 is doubtless an infamous day to many Americans – the deadline for filing annual federal income taxes. For Bonnie, though, it was also the day on which her new regimen of chemotherapy began. We left Winona, MS for Jackson, MS around 9 a.m. to make the hour and a half journey to Jackson Oncology at Baptist Health Systems (hospital). The infusion of chemo drugs and other medicines took about five hours. Upon completion of that, an additional chemo drug was introduced in conjunction with an accompanying pump in a satchel for Bonnie to wear or hang on the bedpost at night for the next three days at home. Happily, none of the side effects about which we were warned occurred during the session on Wednesday. Weary and tired, Bonnie and I returned to Winona. 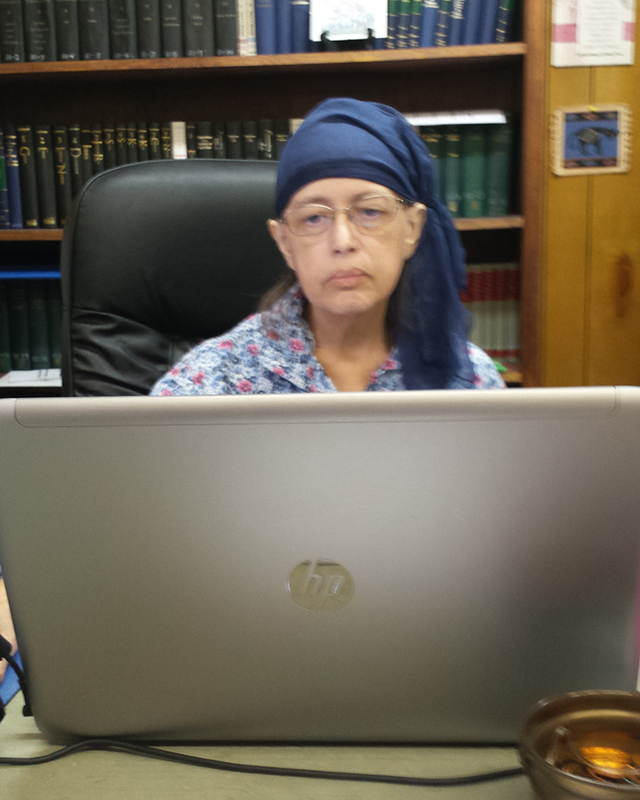 Thursday we worked at the office for a few hours, and I packed the van for a display at the mission Sunday to be hosted by the Siwell Road Church of Christ on the south side of Jackson, MS. About 10 p.m. Bonnie began to have severe back pain. All night long and through Friday afternoon and early evening, Bonnie had nausea, vomiting and excruciating pain. Neither of us slept well through all of that, and we were both exhausted during the day Friday. After lunch, we drove to Jackson in torrential rains for Bonnie’s appointment to have the chemo pump removed. To address the nausea, a new, additional medication was prescribed, and Bonnie was advised to take the pain medicine more regularly and to take two pills at a time. Friday and Saturday nights we lodged with one of the elders and his wife of our sponsoring congregation – the Siwell congregation. Saturday, I put up two banquet tables of display material for World Evangelism. That evening back at the home of our host and hostess, brother and sister Leggett, I was able to prepare computer files to be sent off to the printing company for the next issue of The Voice of Truth International. Sunday, Bonnie and I worshipped with the Siwell church. A fellowship meal was sandwiched between morning worship and a 1 p.m. assembly. Four missionaries, including myself, had opportunity to update all present regarding our labors for the Lord. Afterward, Bonnie and I returned home to Winona. At the house and having Internet available once more, I sent the files for volume 84 of The Voice of Truth International to the printing company in South Carolina. Later in the evening, Bonnie again began experiencing serious pain and nausea. Whenever she can sleep through it all, she seems to have some release from the intensity and discomfort of both. Bonnie is very tired, but she is a fighter, and as long as she can, she heartily applies herself to the work of Jesus Christ. As I close, we are under a tornado watch. Presently, we have a nasty thunderstorm going through again. The lights are flickering. Pain, suffering, storms and such like are temporary speed bumps on the road to eternity. In the meantime, with help and encouragement of many brethren and friends, we press on. Weekly our dining room fills with get well cards. Daily we received phone calls, visits, emails, texts and Facebook correspondence. The other evening, we received a phone call from a dear brother in India. Wednesday, we came to find out, a congregation in Guyana, South America was fasting and praying for Bonnie while she was undergoing five hours of treatment. In America, we have added an “e” to “fasting” and enjoy “feasting.” Elsewhere in the world, brethren still fast and pray. In Bonnie’s words, we are “humbled” by such encouragement by brethren toward us. Our church family worldwide buoys our spirits at a very difficult time in our lives. Thank you one and all. Her computer seems to dwarf Bonnie these days. The week beginning April 5th was not a good week for Bonnie. She was nauseated daily and in general discomfort. However, Friday, we returned to Jackson, MS for her to undergo yet another paracentesis – drainage of fluid from her abdomen. Consequently, she enjoyed mostly good days the balance of Friday through Monday. Her bad days have little good about them, but her good days characteristically have some bad aspects to them, too (i.e., lesser amounts of nausea and pain). Though we have missed more midweek Bible classes and Sunday evening worships than we have in a lifetime, so far Bonnie and I have not missed worshipping on Sunday because of her illness. Sunday morning we attended Bible class and worshipped with the Old Union Church of Christ in the Carroll County woods. That evening, we attended the West President Church of Christ in Greenwood, MS (Leflore County). Brother David Lipe was speaking in a Gospel meeting there. 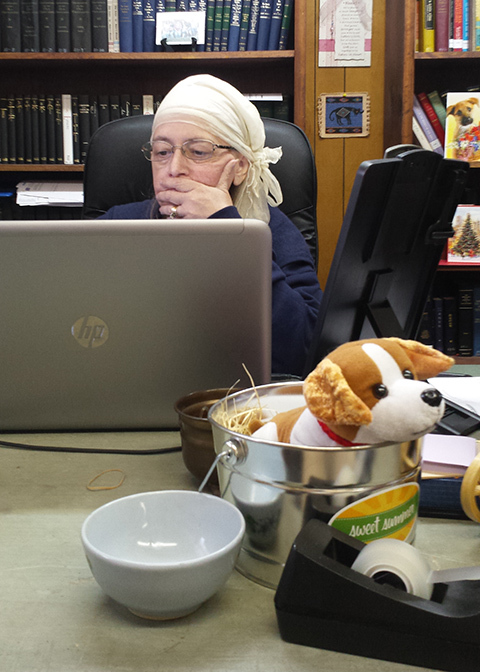 Monday, Bonnie felt well enough for us to go to the office at the World Evangelism Building. Brother and sister Wayne and Janet Barrier drove down from outside of Florence, AL especially to visit Bonnie. They are coworkers with us and others in World Evangelism; they just returned from several weeks in Asian countries. They, sister Betty Choate, sister Barbara Oliver and we lunched together at the local Chinese restaurant. Immediately thereafter upon returning to the office, we were joined by brother Therman and sister Sadie Hodge from outside of Meridian, MS. They, too, made a special visit to bring comfort and cheer to Bonnie. Following some hours of pleasant interaction, we all went our separate ways; Bonnie returned home to rest. Tuesday, we got a late start because of typical symptoms, but we did go to the office for a few hours. Actually, our office in practice is wherever we happen to be, including at the house. Over the past few days, Bonnie and I concluded the layout of the volume 84 edition of The Voice of Truth International. We passed it on to Betty Choate who will proof it as well. Then, she will return it to me for finalization and to send it to the printing company. I have also begun working on the May edition of Gospel Gazette Online. Bonnie printed labels at the office for future mailings of correspondence by sister Choate to hundreds of brethren regarding her aspect of World Evangelism. A few other office duties, and then we returned to the house to eat a small, late lunch and for Bonnie to rest. If Bonnie feels well enough, we will attend the Gospel meeting again tonight. So far, Bonnie has lost 56 pounds! Looking ahead, she begins a new regimen of chemotherapy on Wednesday, which will be an all day and into the evening affair. Friday, we are to return to Jackson, MS for the removal of a chemo pump. Sunday, Bonnie will receive an injection to boost her blood counts. In addition, on Sunday we are to be in attendance at the Siwell Road Church of Christ for its emphasis on missions; the congregation is our sponsoring church. If Bonnie is unable to attend, I will go without her (Rebecca will stay with Bonnie). However, we will remain in Jackson from Friday through Sunday afternoon if Bonnie is healthy enough to do so. For those who follow us online or through our newsletters, thank you for your continued interest – and prayers. It is always our aim to do the best we can in the service of our Lord as long as we live, and many of you make that possible. Wednesday, April 1 through Saturday Bonnie has felt good health wise. 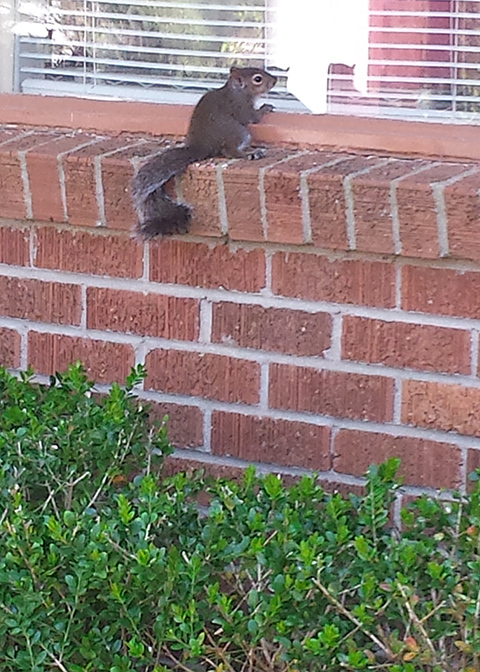 Thursday, she had a ¾ day at the office in the World Evangelism Building. Our offices are on the second floor over a warehouse, and Bonnie voluntarily used the chairlift for the first time to the second floor. However, she insisted that she can still walk down the stairs. Friday was the big day for us. Rebecca who was not teaching school, Bonnie and I made our way to Jackson, MS once again. At 11:00 a.m., Bonnie had another CT scan, which was to determine how to proceed in the future regarding treatment of her pancreatic cancer. Her oncology appointment was scheduled for 12:30 p.m., whereupon she was to meet with her oncologist to be followed by chemotherapy. Between the first two appointments, we squeezed in a quick lunch of a baked potato apiece from the hospital cafeteria. Dr. Young informed the three of us that the CT scan was not good. It revealed that the tumor has increased in size, cancer cells are floating in her abdomen and cancer has spread to her liver. Consequently, the current chemotherapy was suspended. Bonnie was given the choices of no further treatment and to receive what the doctor called “comfort services” at home, or on the other hand, Bonnie could begin a rigorous different chemotherapy regimen. We opted for the latter. On Wednesday, April 15, Bonnie will begin receiving a combination of two chemo drugs and probably nausea medicine and a steroid intravenously over the space of five hours. At the conclusion of that session, she will have a pump affixed to her, which will supply two additional chemo drugs over the next two days. On Friday, we will return to Jackson to have the pump removed. Sunday, she will receive an injection to boost her blood cells. Treatment will be every three weeks, and the strength of the medicines will be increased as long as Bonnie can handle the increases in dosages. Between treatments, Bonnie will continue to receive a paracentesis whenever needed. In addition, Bonnie has a small blood clot in an artery near her heart. Therefore, an additional medicine—a blood thinner, has been prescribed. After the initial shock of the results of the CT scan, Bonnie and I are doing well, moving forward in treating her health and working for the Lord as much as we can. Today, Bonnie has been very active compared to much of the time previously for months. She cooked us a fine breakfast, worked on the computer (office work) for many hours from a recliner, sat in a camp chair in the yard and trimmed dead leaves from flowers Rebecca and I were transplanting into a new flowerbed for Bonnie, and we three ate grilled hotdogs with trimmings on the screened porch. This has been another good day for Bonnie amidst many days over the prior months. That’s a sad irony, don’t you think? Besides building an 18 foot long flowerbed in the front yard, Rebecca and I also rearranged Bonnie and my living room furniture. 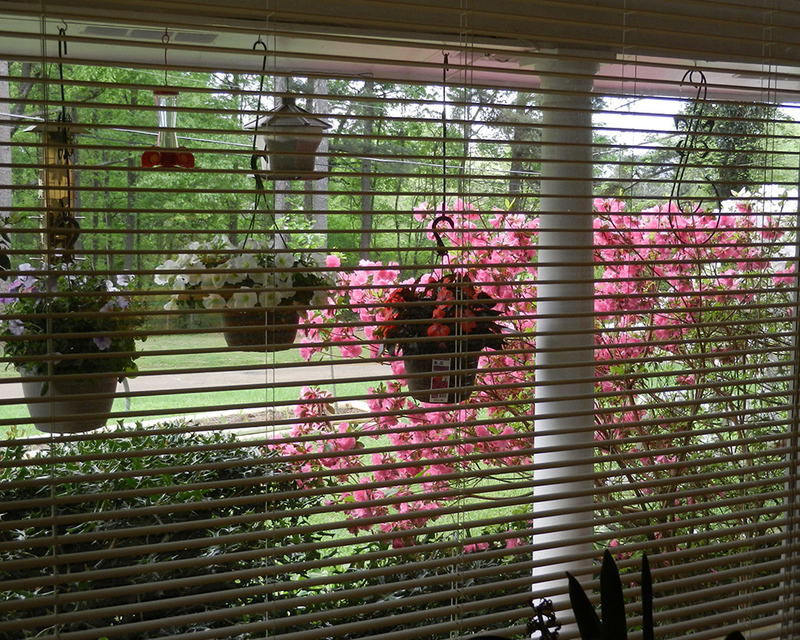 Now, we can more easily see and appreciate from our loveseat recliners through the picture window the blooming, hanging flower baskets and birdfeeders. That is my kind of workstation! All the comforts of home, able to attend to domestic tasks, with my best friend in overstuffed recliners with our laptop computers blazing away. We are thankful for our friends, family and Christian brethren who lift our spirits with cards, emails, calls and visits. Thank you.